Since you’ve already checked out part one of this tutorial, you’ve already captured a time-lapse photo sequence with your GH5 and are ready to ingest your media for post-production. To begin, make sure that you back up your shot footage in at least two locations to prevent potential media loss. 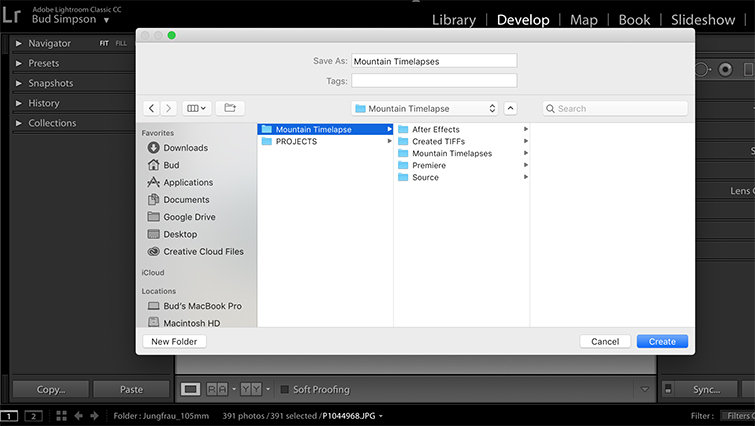 Created-TIFFs: this folder houses the TIFFs that you’ll output from Lightroom. Create a new Lightroom catalog by navigating to File > New Catalog. 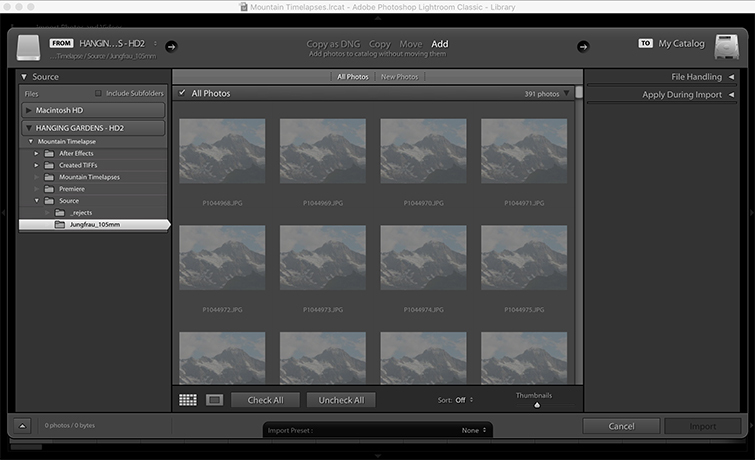 With the catalog created, import your photo sequences into Lightroom by navigating to File > Import Photos and Video. Lightroom will open a dialog box so you can import your desired photos. 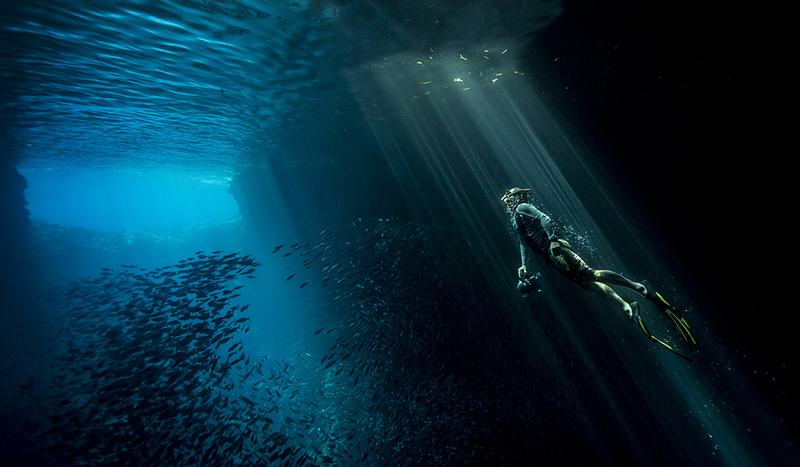 Navigate to your project folder, and select your photo sequences from the “Source” subfolder. Once the thumbnail previews generate, organize your photo sequences by location and shot. Create a subfolder within the “Source” folder for each shot you captured. 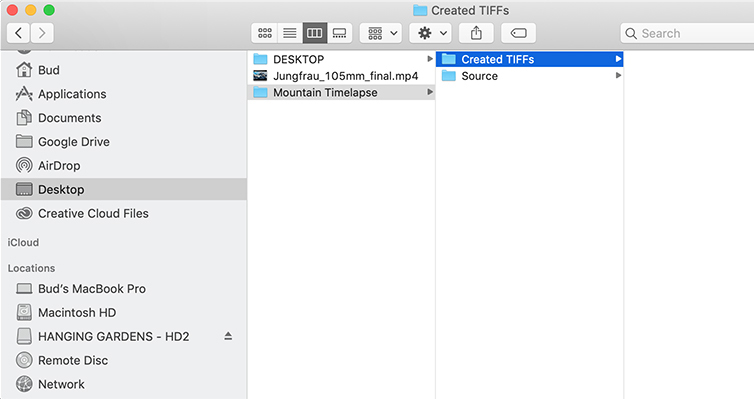 For example, if you shot three separate time-lapses on a recent project, you should create three separate folders within your “Source” folder — one for each shot. At this point, you have the option to create a look for your time-lapse. Some shooters edit and color grade a single photo and apply the look across all of the photos in their sequence. This is a traditional post-workflow for time-lapses, usually performed at this point. Color-grade a single image from the time-lapse photo sequence. Paste those attributes across all photos in the sequence. Resize and adjust your shot however you want. 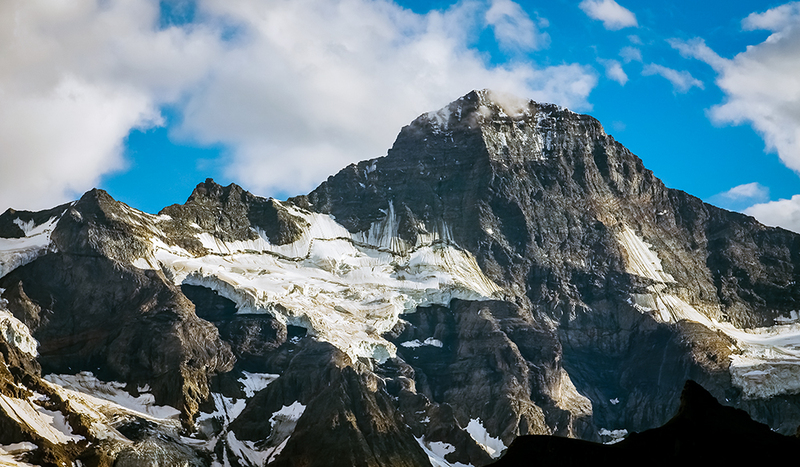 If you shot your time-lapse at a 4:3 aspect ratio, you’ll need to crop the photo for 16:9 — or whatever aspect ratio you’re using in your larger Premiere project. Next, select all photos in your photo sequence, excluding the image you’re copying. With the photos selected, right-click and select Develop Settings > Paste Settings. The thumbnail images in your sequence will begin to update. The process for color-grading a photo varies greatly depending on the subject, the lighting, and the photographer’s intentions. The video tutorial accompanying this article offers step-by-step instructions for color-grading an image in Lightroom. With the GH5’s firmware update v. 2.3, shooters with the V-LogL activation code can now shoot photos with the V-Log photo style. 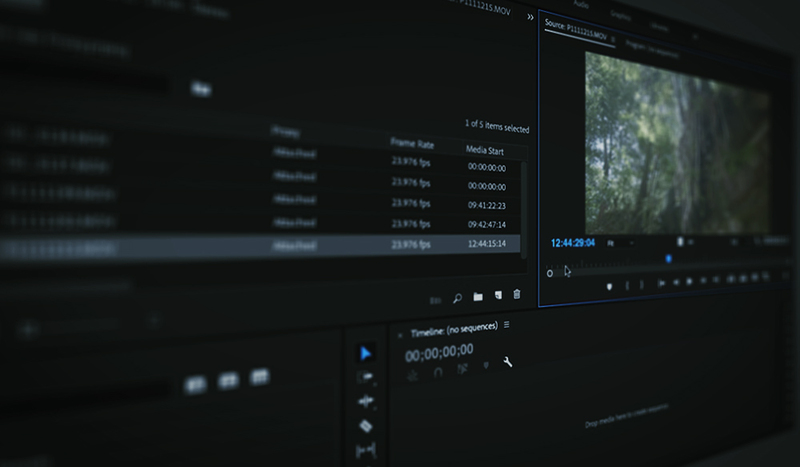 Not only does this give shooters more flexibility in grading their images, it also lets them postpone grading until they ingest a time-lapse .mov into their non-linear editing software. 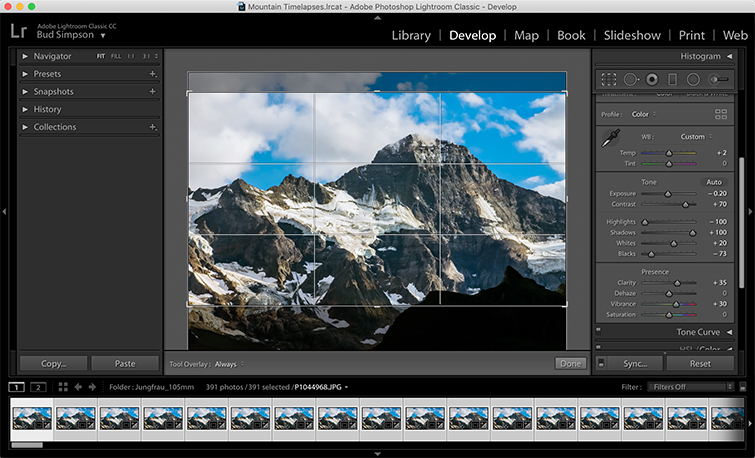 Adobe Lightroom includes a powerful export feature that allows for batch exporting photos with set parameters for file destination, naming, and quality or compression settings. When you’re ready to export the photo sequences of a particular shot, select all the photos within that shot’s subfolder, and navigate to File > Export. In the export dialog box, designate an export location within the “Created-TIFFs” subfolder you created in Step 1. For each shot, create a matching subfolder in your “Created-TIFFs” folder by checking the box “Put in Subfolder” and naming it accordingly. If you’re working with multiple time-lapse shots, do this for each shot. Ensure that the “Created-TIFFs” subfolder structure matches the structure of the “Source” subfolder. This is especially important for large projects that include many time-lapses. Lastly, under the File Settings tab, select “TIFF” from the “Image Format” dropdown menu. Under the “Compression” dropdown menu, select “None,” and specify the “sRGB” Color Space. This is to preserve the highest-quality image for export and ingest into After Effects. Otherwise, if space is an issue, select “JPEG” from the “Image Format” dropdown menu, and select 100 from the “Quality” slider. 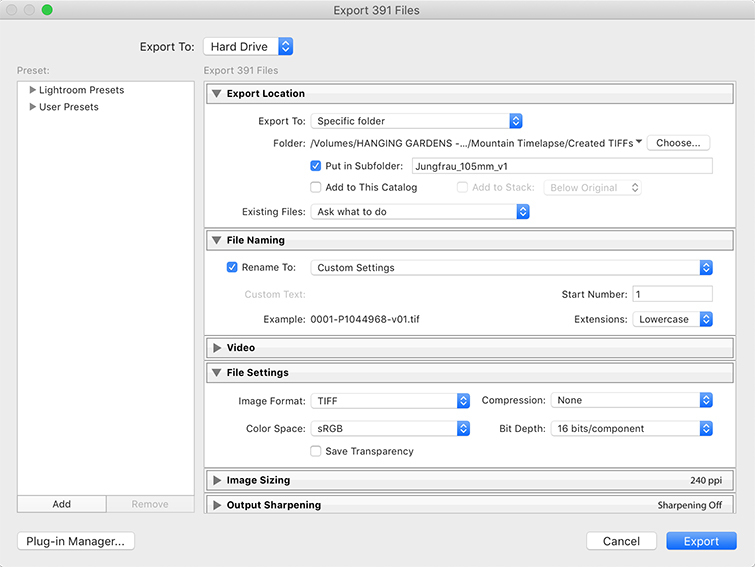 Once the export is complete, open After Effects, and import the sequence by navigating to File > Import > File. 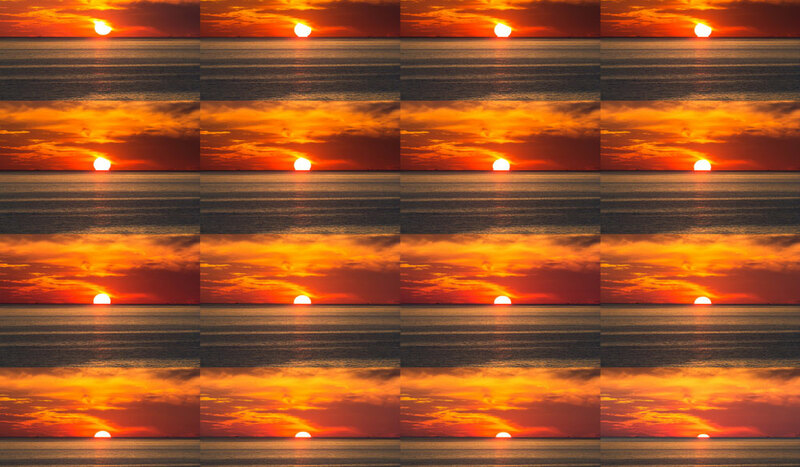 Navigate to the shot subfolder folder within your “Created-TIFFs” folder, and select the first photo of the sequence. With the image sequence in your After Effects Project Panel, right-click the sequence and navigate to Interpret Footage > Main. Select the “Assume this frame rate,” and select your desired frame rate. 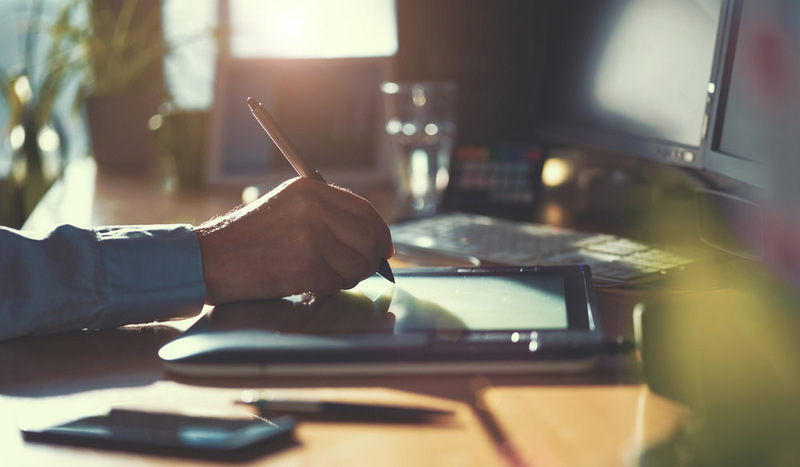 Create a new composition by navigating to Composition > New Composition. Name the composition to match the shot name, and set your desired parameters for resolution and frame rate. Generally, the UHD 4K 23.976 preset in After Effects will work for most projects. 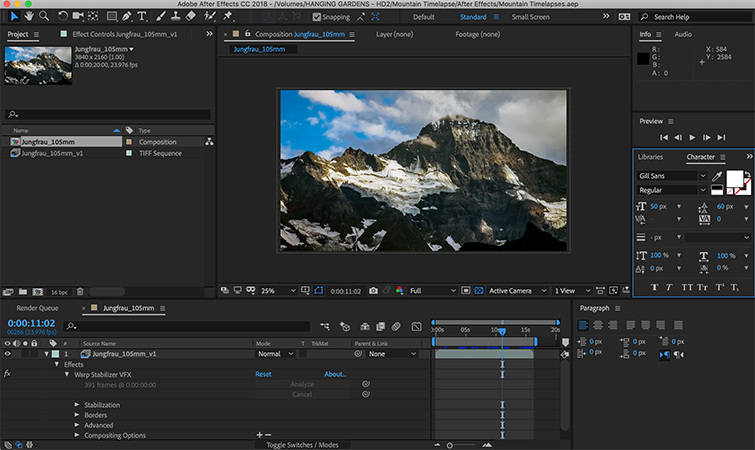 With the composition open, drag the TIFF sequence to your After Effects timeline. Remove jitter from your time-lapse sequence by applying the Warp Stabilizer VFX to your composition. Set output settings to QuickTime format using the Uncompressed 10-bit 4:2:2 codec, specify a destination within your time-lapse project, and export the composition. You can also choose the ProRes 422 codec to save time and hard drive space. Regardless, if you’re editing your time-lapse in Premiere, you’ll want to export the least compressed file possible. Once the composition has finished exporting, import the .mov into your existing Premiere project. Apply a final grade using a LUT or by adjusting the grade in your Lumetri Panel. Edit the time-lapse as you would any other clip in Premiere. If you’re working with an uncompressed UHD .mov, you may need to create an ingest setting in Premiere. The 1280×720 GoPro CineForm preset works for most 16:9 projects. “What You Got” by Luciano Music Co.
Is the GH5/LUMIX V-Log Firmware Upgrade Worth the Price Tag?